Ready for the streets. These kids' shoes borrow their modern look and feel from lightweight runners. 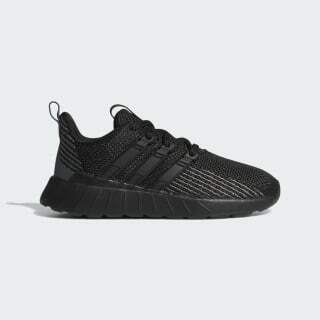 They have a flexible knit upper with floating 3-Stripes integrated into the lacing system. Pillow-soft midsole and outsole cushioning provides them with all-day comfort.